How do I change the font size of my labels? How do I change the font sizes in the labels? 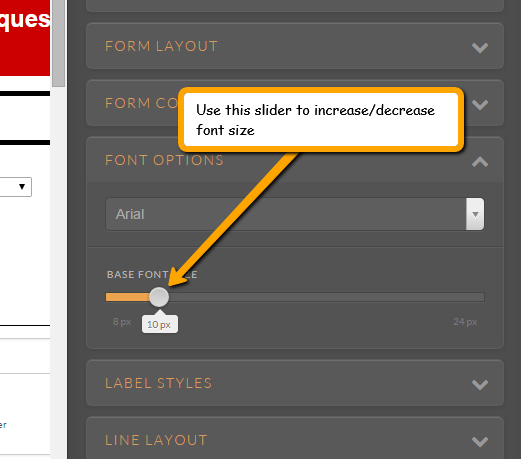 Increasing the size of the font in your form labels can be done by injecting the custom CSS codes below and adjusting the highlighted figure until you get your desired result. If you would like to increase the size of the font in your input field as well, this can be achieved in the Form Design iby adjusting the slider under the Font Options tab nterface.